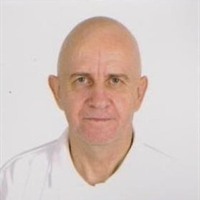 A growing number of people are discovering the MarketHive the social media site for business entrepreneurs. Staffing problems have been the cause of delays to the launch of the system, however these have now been resolved and the opportunity has been taken to review the system in the light of ever changing technology. The blogging and messaging systems which lie at the heart of social media marketing have been revamped so as to provide ways for members share their thoughts and work with millions of others like minded people. Changes behind the scenes have ensured that when you use the free system tools such as Capture pages and auto responders you messages will reach your target audience and much more work is in the pipeline. MarketHive is launching a simple but effective affiliate program which will reward Alpha members with between 25-50% commissions when they introduce other Alpha subscribers. 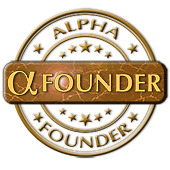 Currently there is a further level of members an that is to become an Alpha founder such as myself by paying an one off payment for Life of $1,200, with the following additional benefits :30 days of advertising credits on sign up and 4 shares in the MarketHive leads generator. One of the things that attracted me to MarketHive was the ease of getting my blogs in front of more people, although I was sad to see the demise of Blogpress. the new MarketHive widget for WordPress has led me back to using WordPress which is used on over 60 million Websites. Blogpress was limited to a single page setup whereas WordPress can become a multi page Website. I drive information to my blogs from the MarketHive blogging section and it is simple and effective. MarketHive is a force multiplier when it comes to blogging, for example a blog which may get 50 to 100 views normally can get 2,000+. I have some posts with approaching 50,000 views.